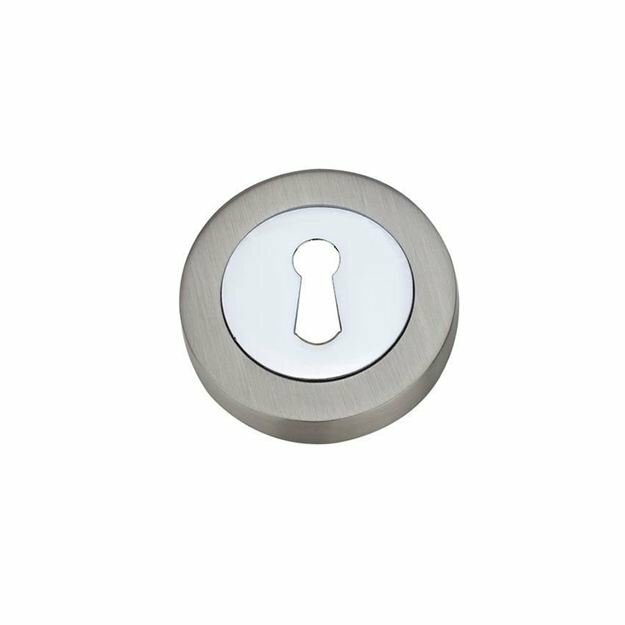 Keyhole Escutcheon Satin Nickel/Polished Chrome. 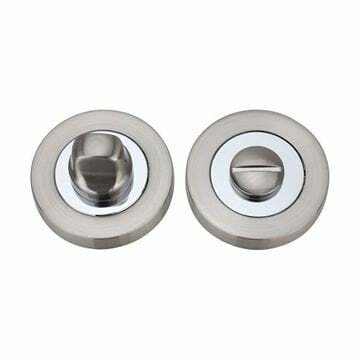 8mm x 51mm suited to Fortessa levers on a round rose. Compatible with all standard UK locks. 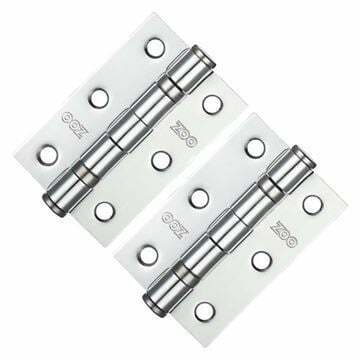 Priced and supplied in single units with fixings. Please note that you will require two key hole covers to complete one door.